The snap general election has forced ministers to remove controversial plans to slash the tax free dividend allowance, along with proposed changes to tax reporting, from the Finance Bill 2017. Nottingham chartered accountants, Clayton & Brewill, explains more about the latest announcements. Planned tax changes, which were likely to affect many small businesses, are part of a number of measures that have been dropped by the government in the Finance Bill 2017. 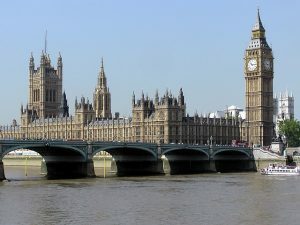 The Finance Bill was debated at parliament on 25 April and was significantly slimmed down in order to get it passed ahead of the forthcoming snap general election – due to take place on 8 June. The key measures dropped included plans to reduce the tax free dividend allowance from £5,000 to £2,000 from April 2018, along with Making Tax Digital plans, which would have required businesses to file quarterly returns for income tax and National Insurance – along with their usual annual tax return in January. Businesses would also have been required to keep digital accounting records. The plan to reduce the tax free divided allowance to £2,000, was announced by Chancellor Philip Hammond at last month’s Budget. The change would have affected over 2 million people, who would typically have had to pay several hundred pounds more in tax a year. The Making Tax Digital plans, which were announced in 2015, would have required businesses with a turnover above the VAT threshold of £85,000 to comply with the new quarterly system as soon as April 2018. A number of campaigners and MPs have said that the changes would be costly and confusing and that businesses had not been given enough time to prepare. The announcement provides temporarily relief for small businesses. However, following the snap general election the successful party may seek to reintroduce the changes at the next Budget. Other measures to be dropped from the Finance Bill include changes to non-domicile rules, inheritance tax amendments to UK residential properties and reductions to the money purchase annual allowance. View the revised Finance Bill 2017 here. If you’d like to discuss the changes, or any other tax related enquiry, please don’t hesitate to call us on 0115 9503044 or email us.